CMA Named One Of The Top Developers in Atlanta and Miami! 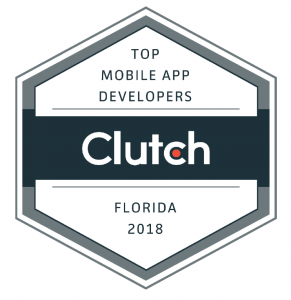 We’re thrilled to announce our inclusion in Clutch’s “best mobile app development companies in Miami and Atlanta“. https://www.coremobileapps.com/wp-content/uploads/Screen-Shot-2019-03-30-at-4.32.23-PM.png 814 1652 Will Manuel https://www.coremobileapps.com/wp-content/uploads/3-300x71.png Will Manuel2019-03-30 21:36:112019-03-30 21:36:11CMA Named One Of The Top Developers in Atlanta and Miami! In a time where more and more individuals are spending their increased percentage of time being glued to their phones and mobile devices, it is important to create a space where they can still vital connection to the world. With the rise of smartphone addiction, Dr. Caglar Yildirim, an assistant professor of Human-Computer Interaction at the State University of New York at Oswego, feels that many people will completely cut off their social relationship and can ultimately affect how they lead their lives. With numerous businesses popping up left and right, it becomes more critical for those in power to create avenues for interaction and discussion. Not only does this reinforce the need for relationships, but it can also improve the ways organizations conduct their day-to-day operations. As social media influencers shed a spotlight on the importance of having their own mobile apps, maybe companies can also learn a thing or two on how they can step up their branding and customer relations. In a cutthroat industry, being left behind by your competitors is bad for business. As a matter of fact, Justin Smith and his study of mobile e-commerce statistics in 2018 point that at least 40% of users will go to the competitor after an awful mobile experience. When this happens, chances are, your consumers will run in the opposite direction, thereby allowing you to miss an opportunity to direct these people to what you offer. By investing your time in designing your company’s own application, you can take pride in knowing you have your own program which perfectly reflects your brand and ideals. Ranking high on the Google index often equates to brand visibility in the sphere of marketing. If your website has not been ranking well in this competitive industry, you may be close to becoming obsolete. With your very own application, you can become more noticeable in the public eye, especially when you offer everything your customer could ever want. Many individuals fail to realize the potential these applications could bring to organizations. More than generating profits and increasing prominence in the public, these programs allow corporations to raise awareness not only about the type of business they do but who they really are. Staying relevant in the public eye is one way to generate engagement with the consumers. In many ways, building an application can be considered a PR stunt. Aside from drawing in customers around the world, this is also an effective way to build credibility in a cost-efficient way. Media practitioners, social media influencers and other brand managers who trust your brand can market your offerings, thereby getting your company the exposure it needs. With a responsive and user-friendly application in mind, you can send out push notifications which help provide customers developments in your business. By keeping in the loop, you are creating avenues for discussion between the community. As a brand looking to expand their horizons, you want to be able to create an effective program that’s stylish, sleek and has a seamless performance. More than this, you want a program that can reflect the values and ideals of your organization. By putting out a mobile app, you can provide one-of-a-kind features that will certainly get customers to identify your brand. Oftentimes, the mobile app is considered a one-stop shop. From providing general information about the company to the availability of booking forms and having exclusive deals and discounts, this app is a marketing channel that provides everything a customer can look for. 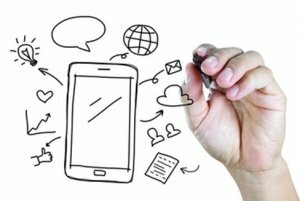 Mobile apps have the power to let business owners know user patterns and preferences. Through the features put forward in the program, developers can gauge the behaviors customers exhibit. This knowledge allows the company to fine tune their services according to their consumers’ tastes. Let’s face it. Today, where social media networks are very much prevalent, launching products has definitely become easier. Often, introducing new offerings to the market require extensive advertising, thus taking a huge chunk away from the overall budget. With a faultless application, entrepreneurs can easily showcase their products, helping reduce marketing costs. Many small to medium enterprises choose to forego having a mobile app. If you belong to this sector, making the jump and being the first in the field will be a revolutionary step for your business. Not only will this create a competitive edge in the industry, but it will also leave the public in awe about the way you approach your venture. There’s no denying that the very core of your business goals includes expanding your reach and increasing your profits. What better way to do this than by creating your own mobile app, right? Doing so can help you create a more unified and strengthened identity as well as a boost in employee production and motivation. 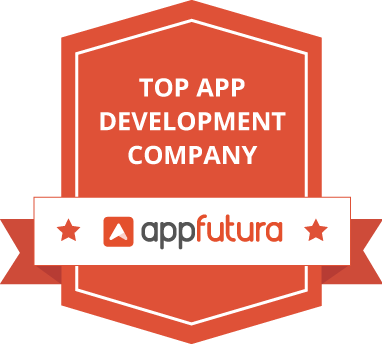 Working with reliable and highly advanced app developers and designers is a worthy investment. If you aren’t offering a mobile app to the public, seeing the wealth of advantages these professionals bring might be worthy to consider. For rapidly developing technologies such as app development, a new year signals a fertile ground for innovation. It also means that users can expect the trend to shift to accommodate or lead the probable improvements in technology in the coming year. The popularity of smartphones are not expected to wane in 2019. As new technologies such as cloud computing, machine learning, and AI are getting used in the market, they are seen to be accessed or integrated into smartphones. Online stores also knew e-commerce sites are expected to evolve into mobile stores (M-commerce). And why not? In 2017, 63% of the total US web visits are done on the mobile phones as opposed to 37% on computers. With regular release of more sophisticated smartphones, the discrepancy is seen to widen further in favor of smartphones. This is also clearly reflected in the global mobile payments. In 2019, the figure is forecast to rise to more than double to $1.09 trillion from $450 billion in 2015. With this exponential rise in mobile transaction activity, should find ways to develop applications that will facilitate M-commerce. Several studies back this claim. Businesses with dedicated mobile shopping apps generate 60% more business leads over mobile. Meanwhile, 44% of all sales were done using mobile apps. This trend is eyed to continue in 2019. Companies that run M-commerce should also incorporate more secured and reliable mobile wallets. Perhaps, companies should start considering accepting Bitcoin, Ethereum and other cryptocurrencies for payment. As more companies produce smart products or devices connected via the Internet of Things (IoT), businesses should start developing apps that can connect to a wider network of devices. The increase in the number of apps for smartwatches and other wearables will be expected to continue in 2019. As such, companies should create apps that can be used for a wider range of IoT applications in industries such as healthcare, energy, education, retail, intelligent agriculture, and smart cities. With the existence of cloud computing, the blockchain, machine learning and artificial intelligence (AI), developers can create applications that can interconnect devices. Speaking of AI, the technology has become a buzzword that is both praised and maligned by tech personalities. But the glaring fact is AI is already used in smartphones and other high-tech devices. Knowing the fierce nature of business competition, companies need to incorporate AI technology in the apps. Now, cameras in smartphones have native software that can make the ideal adjustments to the photos. Businesses can use this AI-capability for their use. For example, companies in the restaurant industry may want to integrate calorie counters that calculate the calories just by taking a snapshot of a meal. Another example of AI use is wider, more sophisticated use of Google Assistant, Siri and Amazon Alexa. Retailers and service providers can use find ways to connect to these chatbots for accurate transactions with minimal human interaction. Aside from smartwatches such as Apple Watch and Fitbit, tech companies have also produced other wearable devices. These on-body scanners, smart clothes, smart jewelry, and other intelligent wearables are seen to be more widespread in 2019. As such, businesses should come up with mobile apps to communicate with these wearables. These apps can be used to monitor vital signs like heart rate, blood pressure, and body temperature. With cloud integration, files can be stored online on the cloud and not in your hardware. This means the lesser need for storage in the phone. Just like Google Docs and Sheets, users can input the data without worrying about how the data is saved and retrieved for future use when the device malfunction or is broken. Companies need to invest in connecting the application to a cloud service such that the files are instantly saved on the cloud without even saving it on the device. The speed of access and connection are essential in mobile computing. Now that the accelerated pages technology is already available, smartphone users can download web pages way faster. But to achieve this speed, apps should be upgraded to access these enhanced web pages. Adopting these technologies requires app developers to beef up security. Being constantly accessible to the cloud and the internet make apps easy prey to malware, data breaches, and theft. 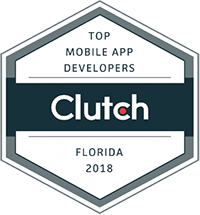 As such, businesses need to hire app developers that are constantly improving its security codes and more advanced measures for users’ peace of mind. 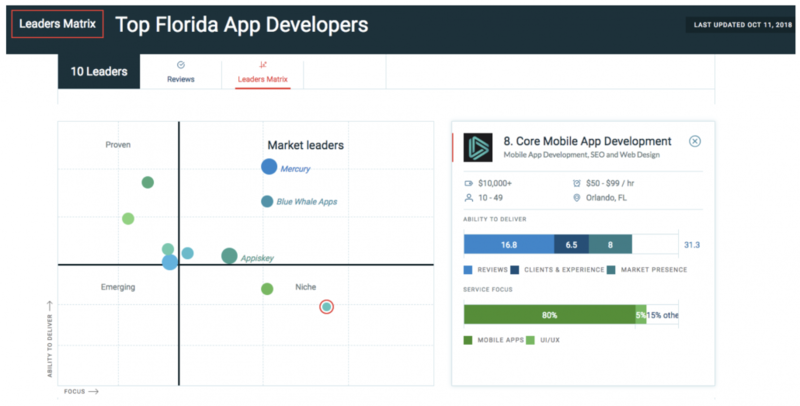 While technology is advancing at breakneck speeds, mobile apps are expected to follow suit. Luckily, many companies are always looking for ways to stand out from the fierce competition in the tech industry. This application lets sighted people help blind and low-vision individuals navigate their day-to-day lives. From minor tasks such as finding a misplaced items to bigger ones such as guiding visually-impaired users through a busy new environment, volunteers can lend their eyes to these people in need of assistance. How it Works: The app requires registration by volunteers and blind or low-vision people. Users can specify a language, which helps them connect with individuals who can communicate with the tongue they are comfortable in. Visually-challenged users can request assistance via the app and they will be paired with an available volunteer. All communications are done through live video and audio calls. Photography enthusiasts who are looking for a way to help others through their talents, skills and passions are sure to find this app useful. Developed by Johnson & Johnson, this software allows users to share a photo in exchange donations to charity. How it Works: You will choose a charity they want to assist. Once ready, you can take a photo via the dedicated app or pick one from your gallery. Sharing your post in social media feeds guarantees $1 donation for the charity of your choice. Get in touch with people with similar hobbies, interests and passions with the Wakie app. Whether you want to learn a new language, or you simply want to talk about a topic you care about, you can find like-minded individuals with this app. How it Works: Just create a topic that you find fascinating and be connected with a user with matching interests. You will receive a phone call from Wakie, with the matched user on the other line. You probably enter hundreds of queries in just one day. Why not make this frequent search work for both you and the environment? Ecosia uses 100% of its earnings to plant trees in various locations around the world. As of October 2018, they have planted over 39 million trees in places that need it. How it Works: Simply use the Ecosia browser when keying in searches. Every 45 searches you make enables them to plant one new tree. Energy consumption is one of the major sources of any individual’s carbon footprint. With this app, you can view accurate and latest data all about your home’s data consumption. It shows how much energy your appliances use. How it Works: You can use this by getting the Smappee Comfort Plugs (TM). Once you install these devices, the Smappee app shows you real-time data from the appliance that utilize the most electricity to the ones the consumes the least. This helps you manage your electricity more carefully, making your home a greener and eco-friendlier one. One way to minimize your environmental impact is to recycle your wastes. Recycle Nation makes this feat an easier one by offering a wide recycling database for its users. How it Works: You only need to enter your location and the app will help you find recycling centers near you. It also connects you with sites to which you can send recyclable materials. Should you want to do it yourself, the app also offers tips, facts and a tracker for your environmental impact. Navigating an unfamiliar terrain can be intimidating. To make this journey more accessible to more people, BreadCrumbz can be your best friend. How it Works: Users can create a guide on how to get to and from a location of your choice. By providing a text guide and including pictures of landmarks, you can help a lot of travelers around the world. Should you wish to include reviews, you can with its rating feature. In this sharing economy, one of the best ways to cash in and help those in need of decent accommodation is to make your place available to them. AirBnB allows you to post an extra room in your home as a viable accommodation option for other users. How it Works: Hosts can share their space with travelers. Simply make an account as a host and you can start uploading photos of the place, detailed descriptions of the room and nearby locations, as well as update your calendar based on availability. If you are looking for ways to provide medical assistance without any professional experience donating blood is your best bet. The Red Cross Blood Donor app allows a smoother way to help patients in need. How it Works: Just download the app and you will find blood donation drives near you. You can set appointments, reschedule your appointment and track your donation history. You will also get notified if there is a shortage in your area and once your blood reaches a hospital. By using these applications, you are on your way towards being a more productive individual, whilst also contributing to the communal endeavor of making the world a better place. What apps do you think make the world a better place? Would love to hear what you use in the comments! Nowadays, it’s safe to say that online platforms have a big influence on our lives. There are a lot of perks, especially for those who are engaging in trade and commerce. If you’re finally investing your capital to improve your strategies and reaching out to potential customers, you’re on the right track. Aside from traditional media advertisements, there are now more ways to help boost your company’s visibility. In addition to having your own company website, creating a mobile application can be insanely beneficial in brand visibility and customer loyalty. In television or radio commercials, businesses purchase time and space in order to promote a specific product or service. Therefore, a business owner only has limited time to introduce the product and urge people to buy it. Aside from being pricey, this marketing technique isn’t always effective. On the radio, the time slot during rush hour is more expensive compared to slots during the wee hours of the evening. If you don’t have enough financial bandwidth, you can only air the advertisements during those later hours. With this, getting meaningful results isn’t always guaranteed unless you have an unlimited supply of funding. Why carry the burden of paying for a hefty price when you can have your own application and provide essential information about your products. All of that is possible when you have a well built mobile application. You can share, post and present different products without having to pay per second like in many media advertisements. In short, you have total freedom in choosing what content to post in the application. Users are able to connect with you and grasp the message you’re trying to convey. Because almost everything is digital nowadays, people don’t always resort to search engines to find what they need. Some of them search the Apple Store or Google Play to find what they’re looking for. If your app appears and it’s a good one, you can begin to build a solid relationship with potential customers. Note that this can only happen if you have an effective and user-friendly application. Gone are the days when people actually wait for a page to load on the site. This is also applies to applications that are not mobile-optimized. In fact, it takes about 50 milliseconds for users to form an opinion about your app. If the graphics, navigation and overall design are unique and interesting, they’ll likely stay. However, when the phone application isn’t aesthetically pleasing, people will likely uninstall it. Now, when this happens, you’ll lose a lot of potential customers. Sales can drop and eventually, competitors will take over. This is why it’s important to distinguish the needs, wants and trends to be relevant. Accessibility is one of the biggest factors why a certain app can gain attention and popularity. If e-commerce functions and features are organized and easy to navigate, people will be happy to browse more products in the app. Who knows, existing customers might give you good reviews and even recommend your business to friends and family. Also remember how powerful word of the mouth is. You can either get instant popularity or rapidly lose customers with a bad reputation and poor marketing. Promotions and the entertainment value of a mobile app constitutes to higher visibility. Make an effort to utilize pop colors and creative campaigns to get the attention and interest of your target market. Find out what’s “in” and integrate it into the app. See what the competitors are doing and do it better. It’s also important to get to know who your target audience is to create a more personal approach. For a mobile app to be efficient and relevant, constant improvement and updates must be done. Send alerts, promotions and special offers so the user can pay attention to the app and discover new products available. However, don’t overdo this strategy as some people aren’t fond of daily notifications. Flash only crucial reminders like for a year-end or anniversary sale. Pay attention not only in getting more downloads and installations but also in retaining existing users. If your mobile app download is good, then you can get more customers. It’s important to work with experienced developers to create a useful, aesthetically pleasing and functional mobile app. Don’t settle for less and make sure to increase exposure across all mobile devices. Remember that there are a lot of people who depend on these applications in terms of lifestyle, education, beauty and health. Finally, a higher level of visibility equates to more sales. Get ahead of your competitors and make online visibility virtual through mobile applications!